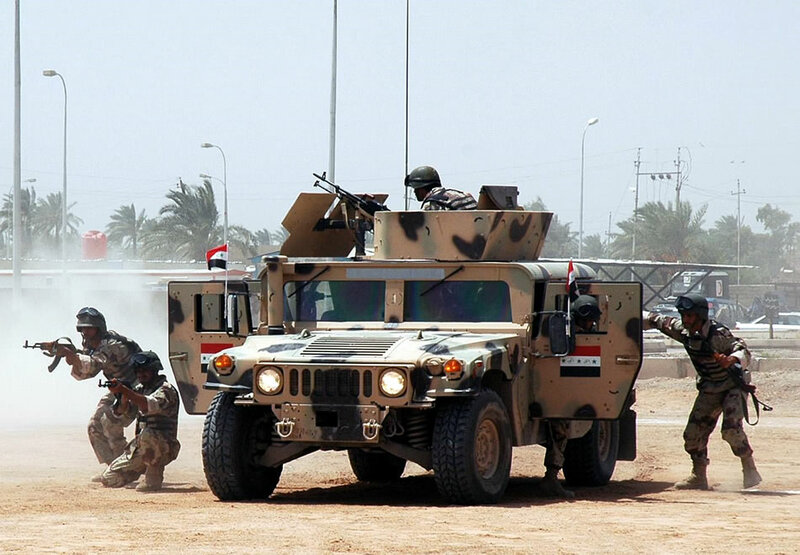 Iraqi army soldiers from 4th Brigade, 6th Iraqi Army Division, perform a demonstration of their battle field tactics during a Transfer of Authority ceremony held here August 14. Photo by Spc. George Welcome, 2nd BCT PAO, 101st Abn. Div.